To many, the idea of owning a home signifies the fulfillment of the American Dream. The desire for owning land and a place of your own dates back to the frontier days. In a recent NAR survey, 75% of non-home owners reported that homeownership is considered a part of their American dream (source). It is a milestone that many are anxious to meet, but there can be several factors that interfere with this dream. Poor credit, short-lived employment history, and lackluster down payment funds can serve as a barrier between you and your dream home. In addition, there is the argument that homeownership comes with unwanted responsibility and disadvantages. 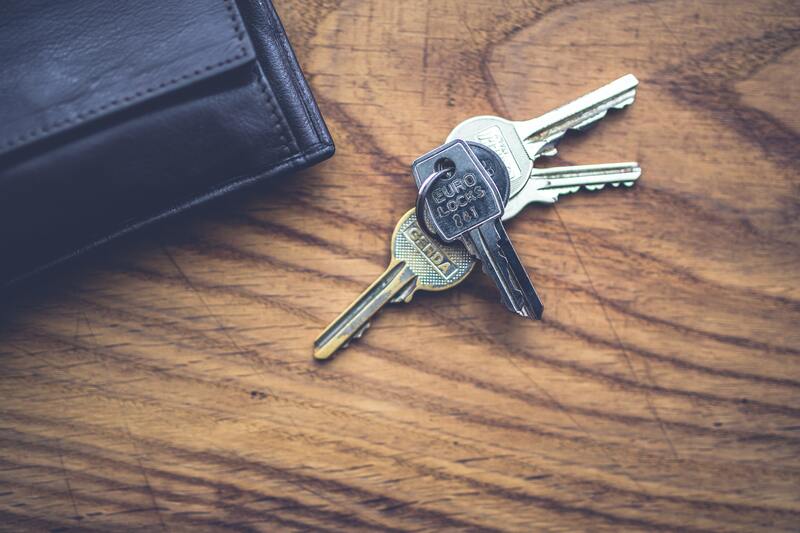 Despite the obstacles that can delay or prohibit home ownership, there are plenty of advantages to being a homeowner in 2019. Predictable payments– Your monthly principal and interest payments stay the same the entire length of a fixed-rate mortgage. Unlike renting, where it’s common to see a rise in rent each year, owning allows you to have a locked-in mortgage rate. Build equity- Homes tend to rise in value and loans that are paid down begin to strengthen your equity in the house. In turn, this can create financial security for your family. You can use it towards the purchase of a new home, towards retirement, or a second mortgage. Place roots- Buying a home equates to settling down in one area for several years (normally). The burden of packing up and moving from place to place becomes less of a possibility when owning a home. It allows you to build ties within your community and with your neighbors. According to U.S. News, “While interest rates are rising, housing prices are expected to stabilize, offering additional affordable options to first-time-homebuyers.” The ways in which credit is checked against a mortgage will be changing with the launch of UltraFICO. UltraFICO offers an adjusted score based on factors like your bank account balance and history. This new information can be used to supplement your traditional credit report information (source). This change is going to open up more doors to mortgage accessibility to those who may have not otherwise been qualified. Home ownership continues to be a goal for many Americans. 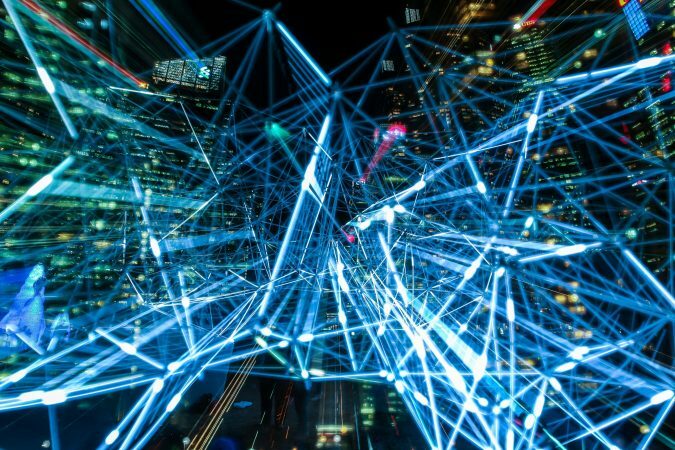 2019 will bring some changes to the real estate market; the effects have yet to be seen. Buying a home is made less stressful with the help of a seasoned and skilled realtor. It is a monumental step, an achievement, that should be carefully considered and entered into with the help and guidance of a reputable realtor. There are many perks that come with being a homeowner. If you’re interested in taking the step towards home ownership, contact a local realtor today. One of the greatest pieces of real estate in the United States is the White House. 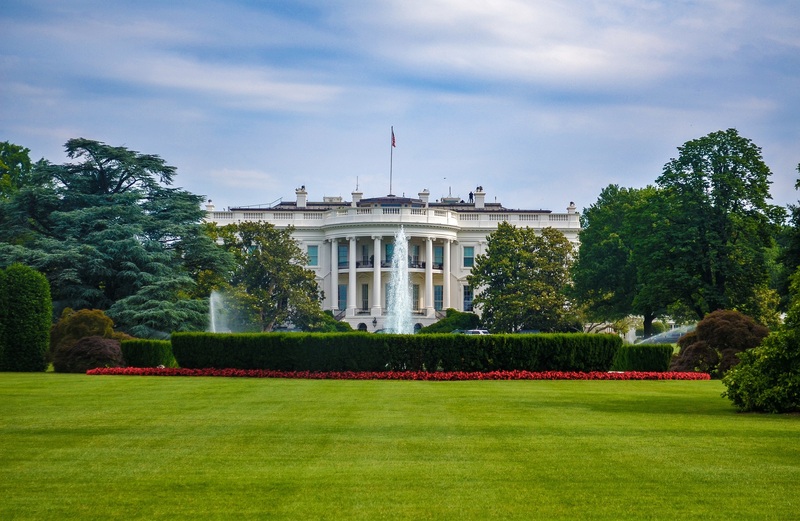 The White House boasts many renovations and remodels throughout the years, and serves as a staple in American history. In honor of President’s Day this year, we are taking a look at the history and conceptual design behind this monumental residence. George Washington lived in three houses throughout his term of presidency, moving between New York City and Philadelphia before placing roots in Washington D.C. It is one of the only cities to be designed before construction. Roadways and buildings were centered around the estate and what is now known as Capitol Hill. Many debated over the features and grandness of such a building. 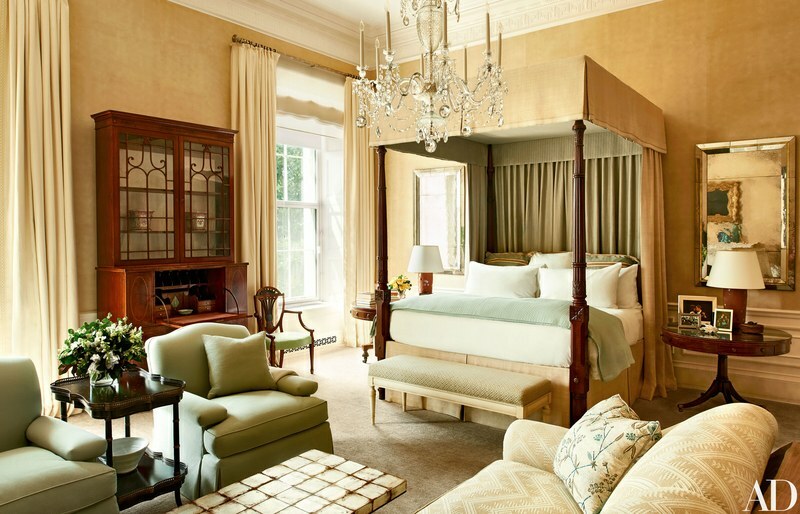 Thomas Jefferson ran a contest for submission of the best design which was ultimately executed by the winner, James Hoban. The first construction started in October of 1792 and took eight years before it was deemed inhabitable. Jefferson, who would later move in during his presidency as our third president, named it the “President’s Palace.” By 1801, most of the outside building was completed. However, in 1812, the British set fire to the house and all of the interior had to be gutted and replaced. A portrait of George Washington was the only original item to be saved from the fire and still remains intact to this day. The exterior was repainted white to hide the damage that was done. President Jefferson was the first to open the house for public tours and it remains open- except for declared times of war. The South Portico was constructed in 1824 and President Andrew Jackson led the addition of the North Portico in 1829. Truman dismantled and reconstructed everything except for the outer shell during his term. The large project was overseen by architect Lorenzo Winslow. This was eventually completed in 1952. 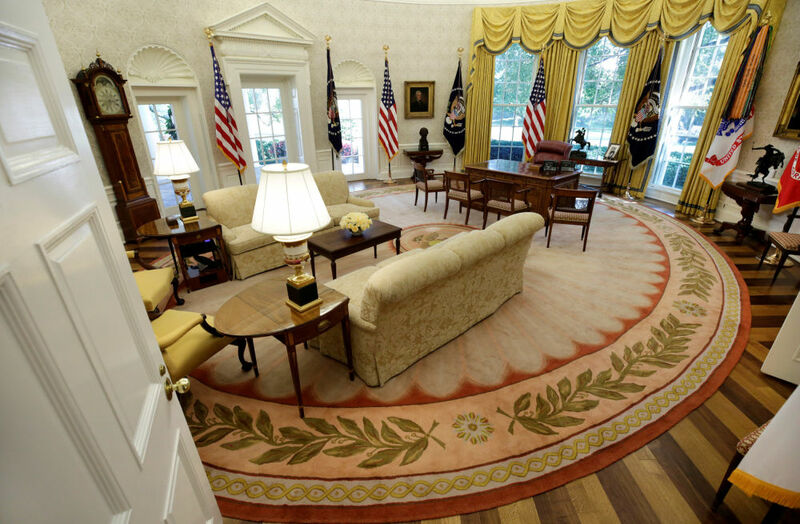 Each president is allocated $100,000 to redecorate as they see fit. In 1961, the White House was declared as a museum; thus, ensuring that no items could be sold or auctioned. Items are sent to the Smithsonian Museum. The White House has seen many decor transformations throughout the terms. The Oval Office (formal workspace) was completed in 1909 by President Taft. Hoover had it restored and expanded in 1930. This room houses the “Resolute Desk” which was gifted by Queen Victoria in 1880. 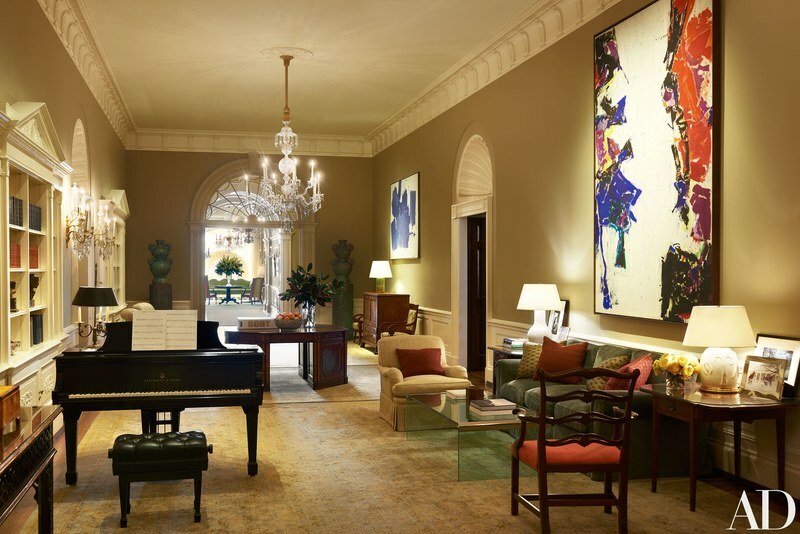 The interior is divided into five different sections: Executive Residence, West Wing, East Wing, Eisenhower Executive Office Building, and Blair House (guest residence). The White House also has two, massive basement levels. The history that exudes from the walls and hallways of this building tell the story of one amazing design structure and the amazing men who have served as some of our nation’s greatest leaders. As we reflect on the meaning behind this day, let’s also pay respect to the classical and ever-evolving style of this exclusive piece of real estate. The holidays are right around the corner. Before you get bogged down with shopping, planning, and running your last minute errands, enjoy some local events to take your mind off of the holiday madness! Our friends up North are experiencing snow, so it’s only right that we enjoy the gorgeous weather and all of the fun that our local area has to offer! This year, Treasure Island is celebrating its 10th annual event, Sanding Ovations Master’s Cup. The event is taking place from November 15th- November 18th, 2018. Ten master sculptors from all over the world gather together each year to participate in the competition. 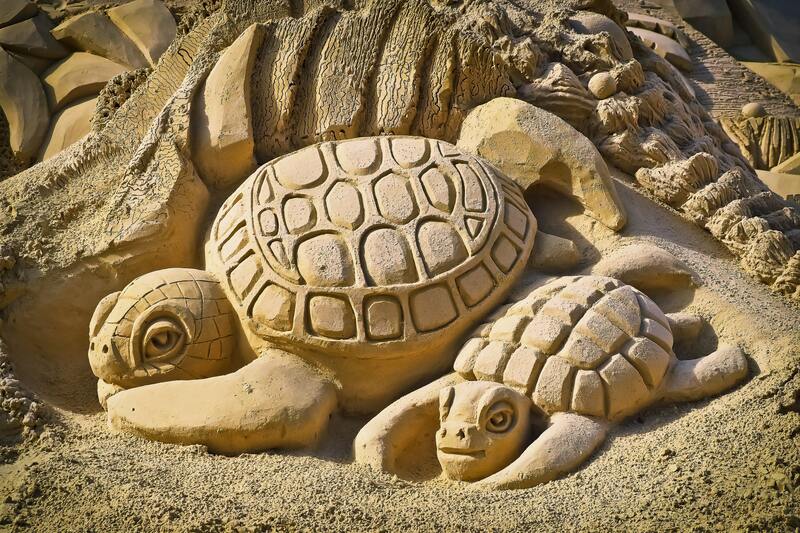 The event is free for everyone and features elaborate sand castles and sculptures, live music, food trucks, crafts, and children’s play areas. Sculpting lessons are also available if you’re feeling especially creative! Visit here for more details. This bikefest is happening now until November 18th, 2018. Every night, unwind to a free, beach party and concert. There will also be a RoadKill Scavenger Ride, Builder’s Row custom bike expo, bike shows, poolside biker games, beach bar crawl, and other events taking place. You can check the website for more details about lodging and other relevant details. On Saturday, November 17th, you can enjoy a full day of traditional Celtic music and craft beers from all over. Musicians from Scotland will be performing live music from 12-10 p.m. You can get your tickets in advance at a discounted price of $15 or pay $20 at the door. Every Tuesday of the week from November 20th-December 18th 2018, you can take a tour of the waterfront Beach Drive neighborhood. The 3-hour tour begins at the Vinoy Hotel in downtown St. Pete and ends at Cassis in St. Pete. All along the tour, you can taste good wine and food pairings and end with coffee and a delicious dessert. In between the food and drinking, explore the rich history of the town! Find more details here. This is one of the largest running events in our area with over 17,000 participants who run in this event each year. Running not your thing? 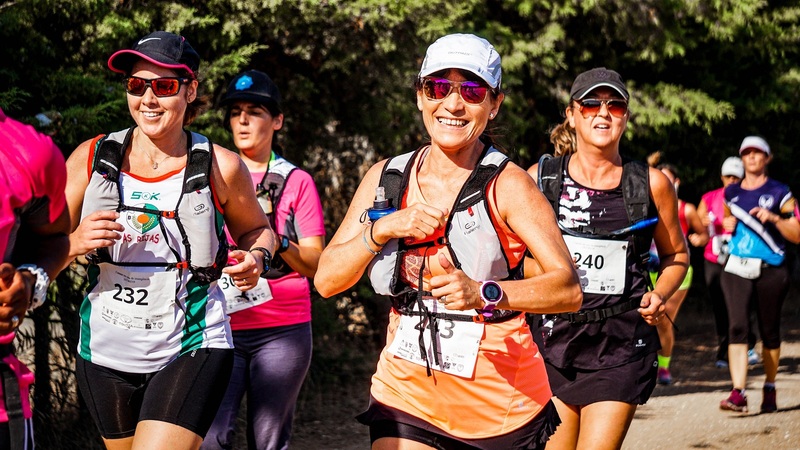 There’s a race for every skill level, whether you are a competitive runner or an avid walker! The top competitor of each race wins a trophy, but even more so, the proceeds support a great cause. Canned goods and proceeds will be collected and donated to local charities. Races start at 7 a.m. and include an event t-shirt. Want to give back to your community? Help give the gift of joy this holiday season to those in our community who are less fortunate by bringing an unwrapped toy, non-perishable item, and personal hygiene item. Donations are being accepted now through December 14th, 2018. Donations will support the Women with Purpose and The Christmas Toy Shop charities. Visit here for more details. There are several events to explore now that the weather is starting to cool down. Take advantage of the good times and good cheer to be had this holiday season in the Tampa Bay area! Halloween is a fun time for children and adults alike! Jack-o-lanterns line the doorsteps of neighborhood houses and costumed people parade the streets. There are plenty of fall festivals and local events to check out. Whether you decide to take your little ones to the Tampa River Walk or go door-to-door around your neighborhood, be sure to follow some simple safety guidelines to ensure that everyone has an enjoyable and safe Halloween this year. Common trick-or-treat times for Pinellas County are between 5:30-9:00 p.m. For a list of events for both the children and adults to enjoy, visit here. The weather is beginning to cool down and the local forecast is predicting a clear night for Halloween. This year, make sure that safety and having fun are equally important priorities and take advantage of all the fun that this time of year brings to our area! Ahhhh, fall. It’s the time of year for pumpkin lattes, pumpkin patches, and cooler nights. Floridians look forward to a break from the humid days and anxiously await the ability to relax outdoors without dripping in a puddle of sweat! There’s more to love about this time of year if you’re on the hunt for a house. Many people think that spring is the most active season in real estate. However, October has been proven to be the optimal month for home buying. RealtyTrac’s analysis of more than 32 million home sales over 15 years showed that October buyers averaged paying 2.6% below the estimated market value for their dream homes. In fact, it gets even better! The infographic further breaks down the best days to buy a home; nearly all of them falling within the fall months. 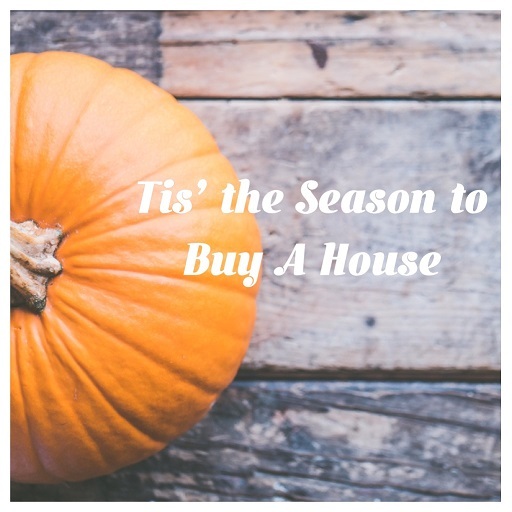 Let’s delve into three reasons why purchasing a home in the fall makes the most sense for your budget! 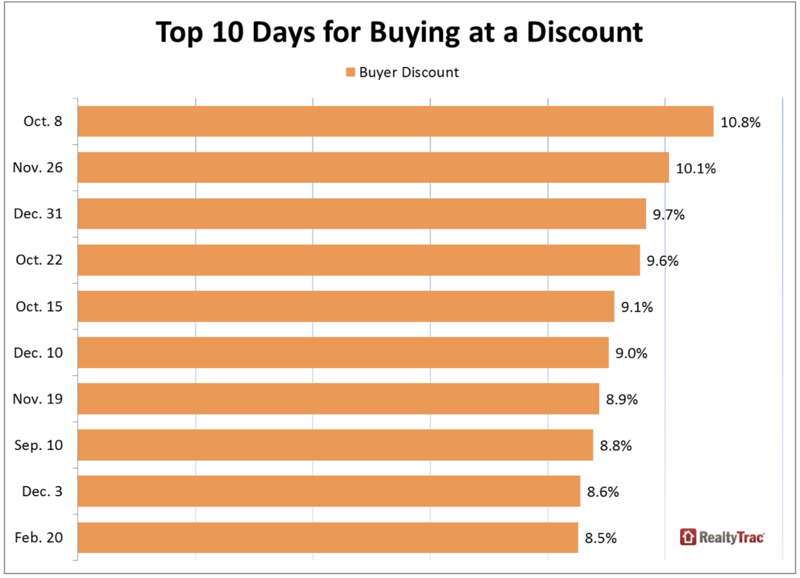 The more buyers there are looking in a particular area, the less likely you are able to score a deal on the house you want. Odds are, there are several interested buyers for that particular house, and this gives the seller the upper hand during negotiations. This spells bad news for you. Most buyers tend to start house hunting in the spring and summer months. Families with school-aged children tend to settle into their new house before the school year begins. To avoid competing for offers, wait out this active market period and buy in the fall. Once the activity of the spring and summer months fizzles out, remaining properties are left to sit on the market for longer periods than intended. Houses that were priced too high tend to receive price reductions and sellers begin to entertain offers less than the list price. As the year draws to an end, sellers want to move on before the chaos of the holidays ensues. The thought of packing everything in boxes around a time that should be spent gathering with families is just as unappealing to them as it is to you. Use this to your advantage as a bargaining tool. We’re not talking deals on houses, per se. Though, you’re likely to see lower list prices during this time. We are talking about all of the end-of-the-year shopping deals on home goods, appliances, furniture, etc… Stores release their Black Friday deals and homebuyers can find some seriously discounted prices on items needed for upgrades, repairs, and cosmetic fixtures. Consumer Reports details what the time of year dictates as far as pricing is concerned. Coincidentally, September proves to be a good time for paint purchases; October for mattresses; and televisions and appliances are cheaper in November. Thank you, Cyber Monday! It’s also worth mentioning that homebuyers receive tax breaks and certain advantages. You can deduct property taxes and mortgage interest for an entire year’s worth of income. This applies even if you closed on your new home in December! All of these advantages make buying a home in the fall a smart choice. Whether you’re a first-time homebuyer, a buyer looking to upgrade, or a buyer looking to downsize, purchasing a home is a big step. Knowing when to buy and where to buy are important factors to consider. Equally important, is working with the right realtor who will negotiate and advocate for you in order to help you find the house that is the perfect fit for you. Contact me when you’re ready to “fall” in love with a new home! This month, we are covering a mini-series on the best places to shop, to dine, to hang out, and things to do in the local area of St. Petersburg, Florida. From St. Pete’s Beach to its many art districts and vibrant nightlife, the city is bursting to life with sights and sounds that are just waiting for you to explore. Whether you’ve been a long-time resident or you’re a tourist just dropping by, you’ll want to check out our recommendations of the best of the best of St. Pete. Let’s kick start our series by exploring the top places to do some retail therapy in the city of St. Petersburg! With so many options available, it’s easy to find something for everyone. You can navigate through downtown and score some great finds or peruse shops along the coastline. The shopping complex, formerly known as Baywalk and The Shops at St. Pete, has undergone some aesthetic transformations as well as broadened the scope of retail. You’ll find stores unique to the area, such as the upscale, Tommy Bahama; sports retail shop, Tampa Bay Rowdies; and local jeweler, Diamonds Direct. You can also shop at familiar chains such as White House Black Market and Chico’s. The center is located minutes away from the waterfront and offers a pleasing, open-air shopping experience. It’s easily recognizable by the stunning fountain sculpture. 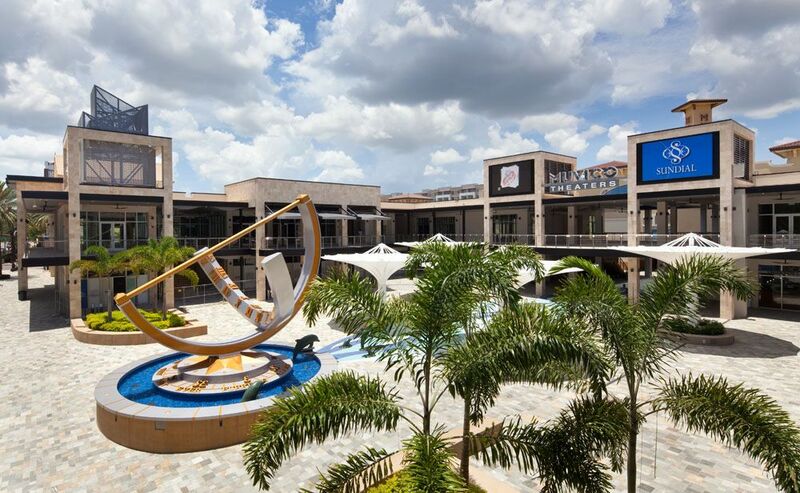 The sundial design is fully functional and pays homage to the town’s history as the “Sunshine City.” When you’re finished shopping, grab a bite to eat at one of the many eateries or catch a movie at the center’s AMC theater. The complex is opened Monday-Saturday from 10:00 a.m.-9:00 p.m. and Sundays from 12:00-8:00 p.m. Be sure to check their website for information on store deals and promotions! 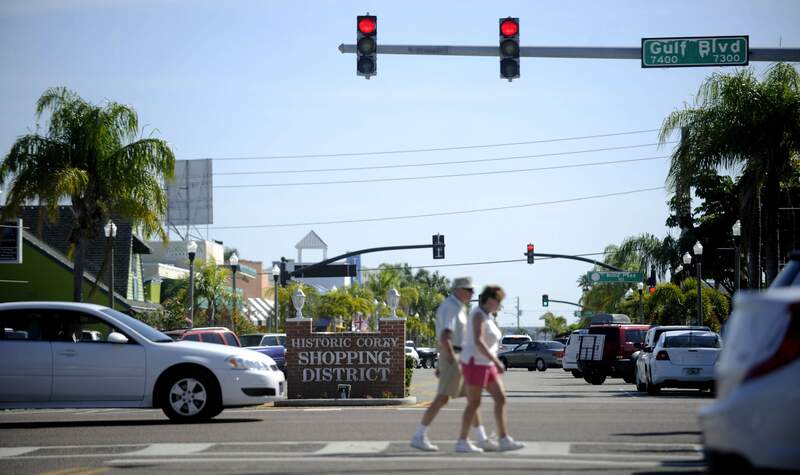 Corey Avenue Shopping District is surrounded by water and offers a diverse mix of shopping opportunities from boutiques, galleries, retail, arts and crafts, gift and specialty shops. Vincent Williams Art Gallery boasts to be voted the best beach gallery and is a great place to find custom-stained glass work. On Sunday mornings, you can scroll through the Sunday market where over 50 vendors meet to sell produce and other home-made goods. You can enjoy live music and eat gourmet cheeses and fresh bread to your heart’s content! If you’re looking for a quaint mix of shops, consider checking out this shopping locale. Check out their website for event details and to read about this district’s rich, historical background. This shop makes our list because of the innovative concept behind shopping for stylish swimwear while enjoying a glass of something sparkling! You can find fashionable resort wear that appeals to any style. Mermosa’s, formerly named Cerulean Blu, collections are designed to fit any body type. 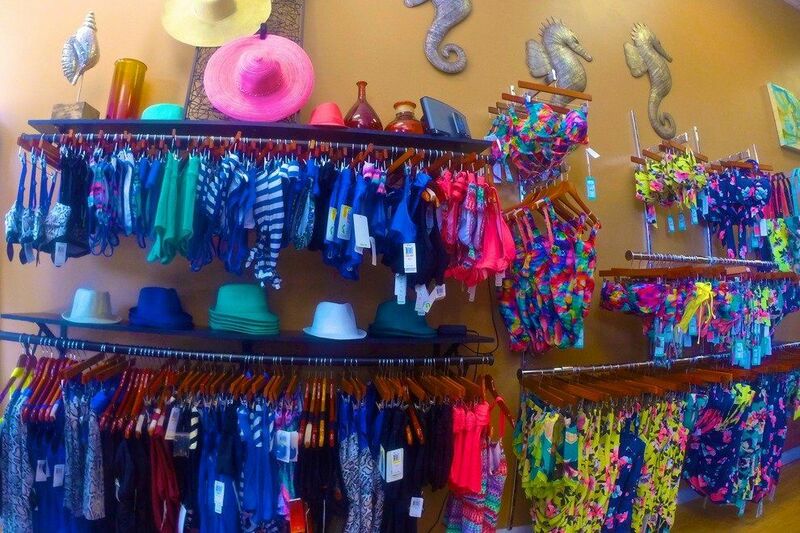 Most women will appreciate that they can find beachwear here to frequent the beautiful sands of St. Pete Beach. You can also check out their boxed gift sets that make the perfect gift for any fun occasion. There’s no better way to wind down a day of shopping at St. Pete’s finest, than with an originally crafted beverage. You can shop online and read more details here. You can easily, and almost literally, shop until you drop! Although, we don’t recommend it. There are a plethora of shopping opportunities in the St. Petersburg area to cater to each consumer and fashionista. If you’re visiting the area as a tourist, give these shops a visit. If you’re looking to relocate to the area, there are several beautiful waterfront condominiums and neighboorhood communities that are very closely located to everything downtown has to offer. In our next series, we’ll be giving you the scoop on the best places to eat, locally. Stay tuned! As always, please feel free to leave a comment down below and let us know what you think!